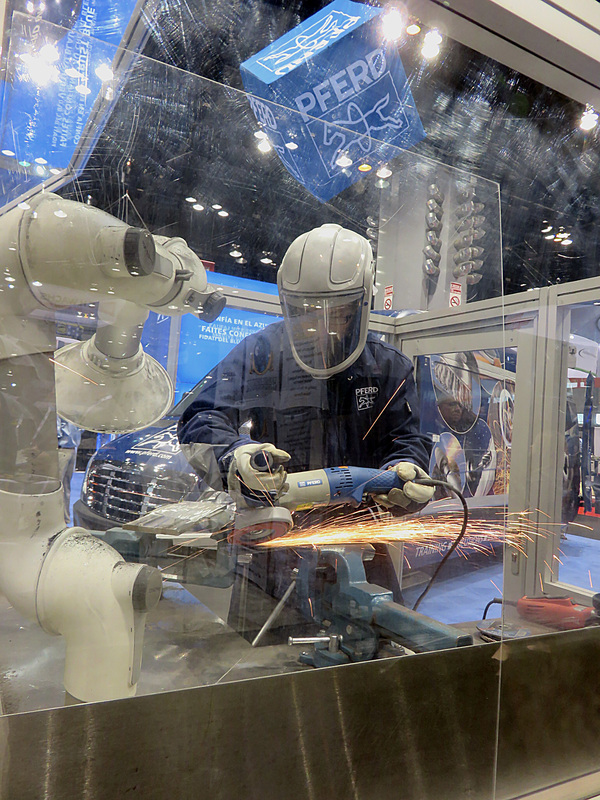 FABTECH is the largest metal forming, fabricating, welding and finishing event in North America. 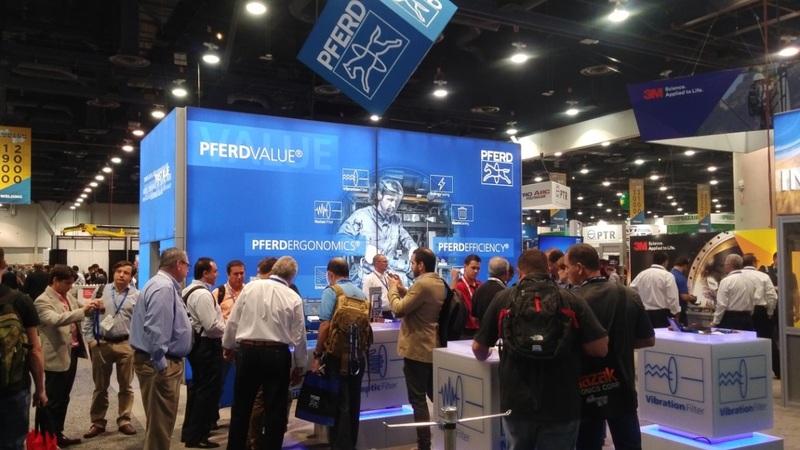 This year it is being held at the Las Vegas Convention Center from November 16-18 and PFERD will be there exhibiting at Booth N2004. As always we will have a strong presence highlighting our precision products and power tools, with a focus on our PFERDVALUE® program. The PFERDVALUE® program was launched a few years ago to address increasing concerns regarding operator efficiency, health and safety as well as cost savings and process optimization. It contains two core elements PFERDERGONOMICS® and PFERDEFFICIENCY®. At FABTECH 2016 we will have interactive demonstrations integrated within the exhibit that will display what the program is. PFERDERGONOMICS®: This core element of the program captures how PFERD solutions address the human factor with consideration to the health and safety of the operator and how consumables play a part in supporting the human factor. We will be demonstrating this through interactive displays that focus on four primary concerns: emissions (such as dust), vibration (“white knuckle syndrome”), haptics (force/effort) and noise. The focus will be to educate on these critical factors and to show process oriented solutions rather than merely products. PFERDEFFICIENCY®: The other core component focuses on work-in-process to ensure cost savings and productivity increases. This part of the program relies on four basic tenets: energy savings, waste savings, time savings and resource savings. Reducing total cost rather than looking solely at the consumable cost is what this program highlights and is our target for every application. Our high performance burs and M-BRAD® range of composite brushes in off-hand applications such as automatic cut-off, deburring and surface finishing are prime examples of PFERDEFFICIENCY. 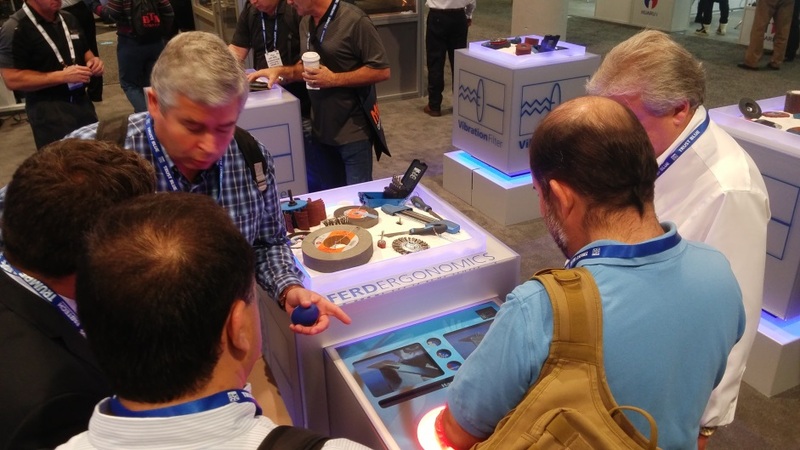 Other innovative products that PFERD is known for including our POLIFAN®-CURVE flap discs will be on display and featured in our grinding and finishing booths. POLIFAN®-CURVE is a unique product that brings significant advantages to rough and finish grinding applications, and exemplifies several objectives of the PFERDVALUE® program. With a patented configuration, the POLIFAN®-CURVE flap discs has three fully usable working surfaces as opposed to the single surface of conventional flap discs. This design makes it the perfect tool for grinding fillet welds as well as unusual curves. 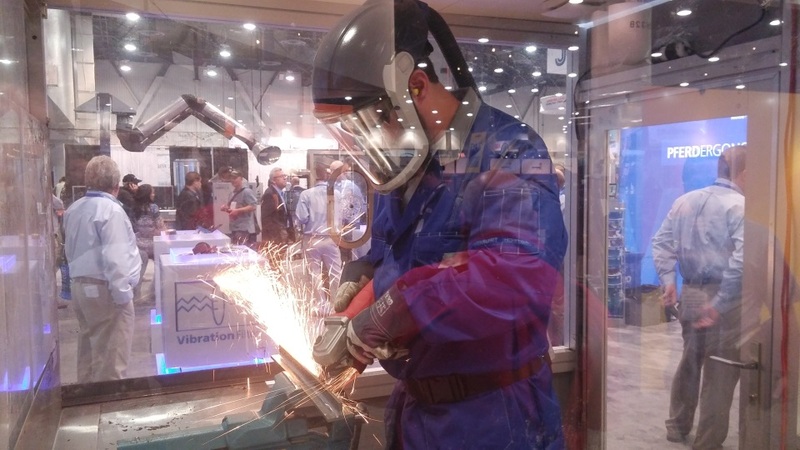 Come see our live demonstration in the PFERD grinding booth! Be sure to visit the PFERD team at BOOTH N2004 at FABTECH 2016, and follow us on Twitter and LinkedIn for the latest news on our show plans. If you can’t make the show and want to learn more about the PFERDVALUE® program contact us here. PFERD, a leading manufacturer of abrasives and surface finishing tools, is committed to increased safety, health and comfort for end-users. 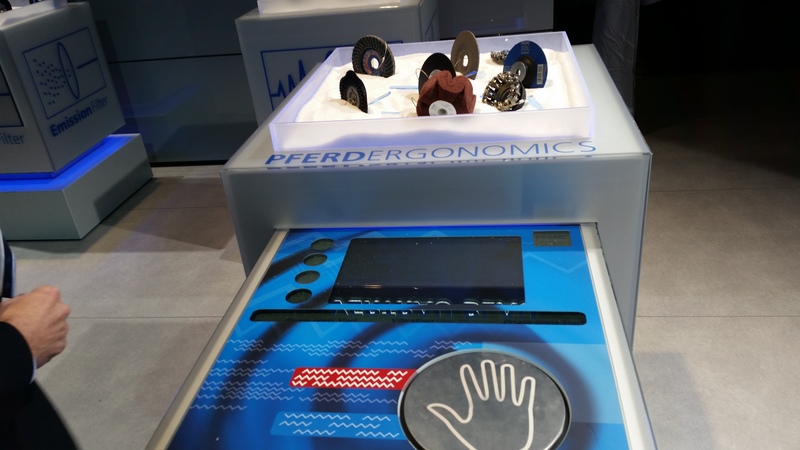 PFERDERGONOMICS focuses on long-term user health through the reduction of dust, noise and vibration levels, and the improvement of tool haptics. Reducing these workplace hazards improves the work environment and increases worker productivity. In addition to manufacturing products that minimize these hazards, PFERD offers ERGOSCAN, an on-site service which scientifically compares existing ergonomic loads in the work environment against the recommended PFERDERGONOMICS solution. PFERD INC. is the U.S. subsidiary of August Rüggeberg GmbH & Co. of Marienheide, Germany, a 214 year old world leader in the design and manufacture of quality abrasive products, cutting tools, industrial and maintenance brushes and power tools. ADVANCE BRUSH is a subsidiary of PFERD INC.